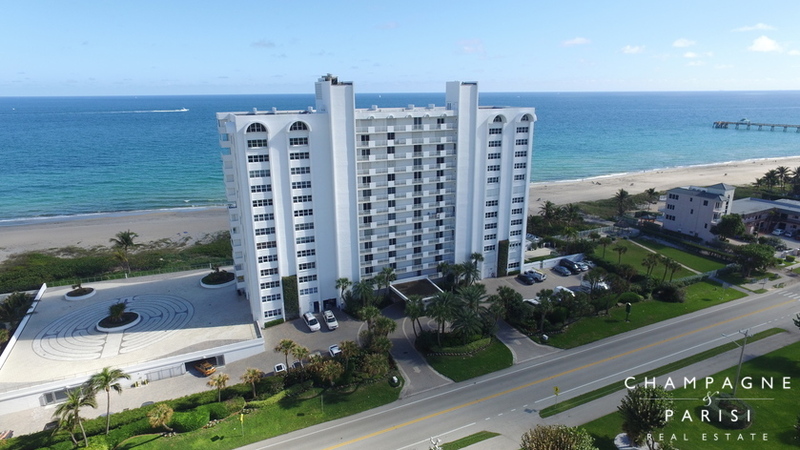 3000 South Ocean is an oceanfront condo building situated on Florida's southeast coast in Boca Raton, FL. Built in 1970, 3000 South Ocean is an intimate, 15-story building made up of only 80 two- and three-bedroom condos that range in size from 1,333 to 2,800 square feet. Originally built in 1970, this condominium building has been completely remodeled and renovated. Many of the condos for sale at 3000 South Ocean, renovated with upgrades that include hurricane impact windows, granite counters, marble flooring and state of the art appliances. 3000 South Ocean Condos also feature semi-private elevators and offer spectacular ocean views from nearly every room. 3000 South Ocean, located on the Boca Raton beachfront on A1A between Camino Real and Hillsboro Boulevard. The community is within walking distance to the pier, nightlife, restaurants, and shops in Deerfield Beach, and just a short drive to the upscale dining, shopping, and entertainment options in downtown Boca Raton. If 3000 South Ocean sounds like the perfect place to call home, you may want to visit similar waterfront condominium communities in Boca Raton, including Whitehall, Ocean Towers, and Placide, which also offer premier oceanfront condominium living in Boca Raton, FL. If you are interested in purchasing a condo for sale at 3000 South Ocean or would like to learn more about other luxury condominium communities in Boca Raton, please call us at 561-998-9015. You may also reach us by completing the simple online contact form provided below, and one of our expert agents will reach out to assist you. We at Champagne & Parisi Real Estate look forward to assisting you in finding your dream condo in always sunny Boca Raton, FL!